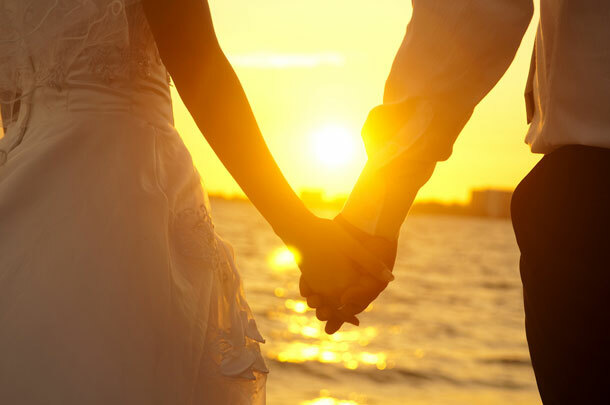 Reflecting on marriage – what is it? And what is it for? Marriage is also called matrimony or wedlock and is a legal contract or a social union between two people that creates kinship; an institution involving intimate relationships. It is more often than not formalised by a wedding ceremony. Which is the rather academic take on an institution many of us still adopt as the most common way in which to live with a chosen partner, and have a family. However, it fails to outline the beauty one can discover when entering the institution of marriage. Why marry? Because marriage publicly affirms the possibility of moving toward another person without reservation. With that momentum, we are propelled toward the center of the heart, toward the center of the universe, and however far that gets us is farther than we’d otherwise go alone. Why marry? Because every wedding enacts a personal connection to the universal story of the human hope for wholeness. Because by stepping into the hyperbarically charged space on the altar (in front of the priest, under the canopy), the bride and groom join in a dance that goes all the way back to the beginning of memory. Getting married is an attempt at turning air into matter, transforming the ineffable workings of the heart into things that are “real”: the invitation, the dress, the ring. The words that constitute a wedding are magical incantations of the highest order. In the presence of witnesses and voiced by a vested authority, two people are pronounced a single unit. Ta-da! This is a wonderful perspective on the underlying spiritual and emotional aspects of marriage that place ‘marriage’ rather firmly in the bigger picture; that explain the inner workings and effect that the words of a ceremony can place upon us, and the coming together of two people as something almost magical. Lovely to read and re-read whilst preparing.